Shootings in Chicago surged after the release of the Laquan McDonald video. They’ve shown “no signs of slowing.” What changed? 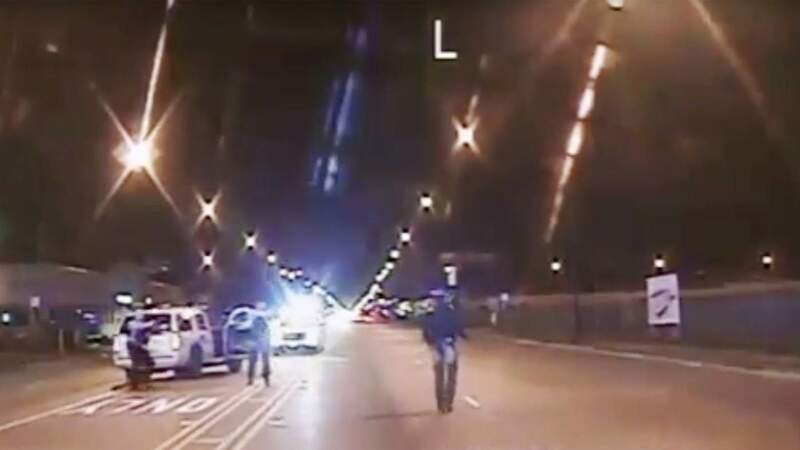 Asked what could have sparked Chicago’s 16-month-old surge in gun violence, Derek Brown points to the city’s November 2015 release of a police dashcam video that shows a white police officer fatally shooting a black teen named Laquan McDonald. Brown, who teaches boxing to at-risk West Side youths, recalled how the video affected his students and their peers. “They were mad and didn’t know how to channel that anger,” recalled Brown, 40, who said he climbed the ranks of the Vice Lords before leaving gang life a decade ago. The video also sent a message about using guns to resolve conflicts, Brown said. It may seem far-fetched to blame a video for a shooting surge that has killed or injured roughly 5,300 people since it began in January 2016. But some criminologists are taking the idea seriously. And a WBEZ analysis of Chicago data has found a disturbing trend in calls to 911 that bolsters Brown’s view. The first thing to understand about the shooting surge is its scale. Chart 1 shows that the city’s violence last year returned to a level not seen since 1996. Another thing to understand is how suddenly the violence increased. The city’s shooting and homicide numbers had not changed much for more than a decade. And, as Chart 2 shows, homicides through mid-2015 tracked closely to monthly averages from previous years. But the game changer may have been January 2016. That month’s 59 homicides were more than double the typical January total. It was the middle of winter but violence rocked the South and West sides as if it were a hot summer. There is no shortage of theories about what caused the violence to soar. Many have to do with social and economic ills — poverty, residential segregation, youth joblessness and so on — that hit African-Americans hard. Jens Ludwig, an economist who heads the University of Chicago Crime Lab, dismissed those factors in one fell swoop because they didn’t change dramatically in late 2015. “The suddenness of the increase in gun violence helps rule out a bunch of candidate explanations that may be important for crime in general but can’t explain why there was a sudden increase in crime,” said Ludwig, who helped produce the Crime Lab’s report about the 2016 violence. For the same reason, Ludwig said, the shooting surge probably does not have to do with the availability of firearms. “The state of Indiana, which is where a large share of the guns come from, did not get any closer to the city of Chicago at the end of 2015,” he said. Ludwig did not mention it, but his point about timing also seems applicable to parenting, family structure, morality and self-esteem. Other frequently cited factors did change before the shooting surge but, Ludwig said, their timing still doesn’t fit. Those include police staffing cuts, public-housing demolition, lagging African-American recovery from the recession, and the city’s closure of some mental-health clinics and dozens of grammar schools. Ludwig also pointed out that the crime surge was driven mainly by firearms use. “Violent crimes that don’t involve guns didn’t increase by nearly as much, and property crimes didn’t increase by nearly as much,” he said. With that in mind, Ludwig dismissed factors ranging from incarceration levels to the Springfield budget impasse. And he said the shooting surge was not in sync with the weather. Ludwig refused to rule out some other explanations, including gang fragmentation, the rise of opioids and social-media provocations. All those factors had been in play for years, but their timing and impact are hard to gauge. A theory that carries weight with police officers interviewed by WBEZ is that the increased violence stems from changes in what cops were allowed to do and whether they felt like they had backing to fight crime. Two of the changes happened at the end of 2015, just before the shooting surge. One was the lengthening of a form to help track whether police stop-and-frisk activity was constitutional. The change stemmed from a new Illinois law and a city settlement with the American Civil Liberties Union. Officers feared that the increased documentation would be used to discipline or even prosecute them. The second big change was the McDonald video release on Nov. 24, 2015. “What that event made clear to larger numbers of people was the extent to which the police could be perceived as acting with relative impunity in the street when they were policing poor and black communities,” said Wesley Skogan, a Northwestern University political scientist who studies policing. During the weeks after the video release, Mayor Rahm Emanuel fired police Superintendent Garry McCarthy and talked about a police code of silence. The U.S. Justice Department launched an investigation into CPD. Angry protesters marched, time and again. The uproar hurt police morale, according to many cops, including a member of a specialized unit who has spent most of his career on the West Side and spoke on the condition he not be identified because he was not authorized to speak on the topic. “You’re calling thousands of officers racist?” the officer said. “They may look at you and be like, ‘Well, if I’m this, you know what? I won’t do proactive policing anymore.’ ”A slowdown, sometimes labeled “depolicing,” is apparent in the number of street stops that cops documented. Chart 3’s brown line shows an 82 percent drop between October 2015 and January 2016. But the extent of Chicago’s depolicing and whether it actually ignited the shooting surge are not clear. Arrests and firearm recoveries did not drop nearly as much as street stops did from 2015 to 2016. The declines that took place were consistent with downward trends stretching back more than a decade, a WBEZ analysis of police data found. How did gun seizures hold steady despite the drop in street stops? One possibility is that the number of people carrying guns increased, said Ludwig, the economist. But it’s also possible that officers were recovering guns more efficiently. “I think what it says is that quality stops — stops driven by good intelligence, driven by practical application of good police common sense — were paying off,” said Skogan, the political scientist. And, if depolicing sparked Chicago’s shooting surge, it would not jibe with what happened in New York City, where street stops plummeted after a similar ACLU settlement. “Crimes of all kinds, including homicide, dropped steadily as street stops dropped,” Skogan said. That brings us back to the theory of Derek Brown, the West Side boxing coach who believes that the shooting surge stems from the McDonald video — from how it affected community confidence in the police. Brown is not the only one interested in that possible link. In a research paper published last June by the U.S. Justice Department, University of Missouri–St. Louis criminologist Richard Rosenfeld examined what could have ignited a 2015 homicide rise in several cities. Rosenfeld described a second version of the Ferguson effect that switches the focus from police activity to police legitimacy. According to that version, longstanding discontent with policing in African-American communities can be “activated” by highly publicized police incidents such as the killings in Ferguson, Cleveland and New York, turning the chronic discontent into violence. Rosenfeld suggested that a homicide escalation stemming from a police-legitimacy crisis would be more prevalent among African-Americans than other groups. In Chicago, more than 79 percent of 2016’s homicide victims were black, an increase of 1.1 percent from 2015, according to a WBEZ analysis of data from the Cook County medical examiner’s office. But that uptick continued a trend dating back 15 years, so it’s not clear there was a link to the McDonald video. Another signal, according to Rosenfeld, would be substantially lower confidence in the police among African-Americans than other groups. In Chicago, at least one survey last year found exactly that. But there was no tracking to determine whether that confidence level had worsened since before the video. Chicago’s murder clearance rate dropped to 19.8 percent last year, an historic low that was reported first by WBEZ. But the police actually solved as many murders as in previous years so, according to Ludwig, the clearance-rate drop could simply have resulted from a workload increase — the rise in murders — instead of a police-legitimacy crisis. But WBEZ found another possible link between the McDonald video and the shooting surge by analyzing city datasets obtained using the Illinois Freedom of Information Act. Chart 4 tracks a ratio between the number of calls to 911 about persons hit by gunfire and the actual number of shooting victims. From October 2015 to January 2016, that calls-per-victim ratio fell nearly 20 percent. These callers include people who witnessed the shooting. Many have ties to the victim and even the perpetrator. They might represent a population particularly sensitive to footage such as the McDonald video. WBEZ did not find a post-video drop in broader measures such as shots-fired calls to 911 per shooting incident. It might be significant that those callers include many more people with geographic distance from the gunfire and no connection to the parties involved. Chicago would not be the first city in which a highly publicized police incident triggered a drop in the number of calls to 911. A study published last year found fewer 911 calls from black Milwaukee neighborhoods after a biracial man’s beating by some of that city’s white cops. Trying to find out what sparked Chicago’s shooting surge is much more than an academic exercise. It could be a matter of life and death. Adjusted for seasonal variation, the gun violence actually intensified this past winter. The homicide total so far in 2017 is almost identical to what it was at this point last year. This story is part of WBEZ's Every Other Hour project. Find more stories here. Criminal justice reporting and investigative journalism at WBEZ is supported in part by Doris and Howard Conant, The Joyce Foundation and the Robert R. McCormick Foundation.